Imagine being on a hill, waking up to a beautiful sunrise in a villa that’s made of timber, heading our for a quick swim before settling down for brekkie with a view to match the food. Sounds perfect, right? We’ve got just the thing to fulfil that dream; Timber Villa is Lonavala’s best kept secret, located on a hilltop with a view that’s going to be perfect in the coming monsoons. Well, where does one begin? The villa has two decks – the upper one that has a barbecue, deck loungers and even tables to where you can sit down and have your meals; while the lower deck has a swimming pool with seating on the side. The view is spectacular – you can see Pawna Lake in all its glory here, along with the hills and the valley. It is prettier in the monsoons, with the greenery in full flow. As soon as you enter the villa through the upper deck, you enter a game room, where you can play table tennis, carrom, foosball or even chess. There are five rooms and five bathrooms that are beautifully done up with timber used almost everywhere. Comfortable and classy are the only two words we can think of if we have to describe the villa! You can drive down to Lonavala or take the Shivneri bus to Lonavala city and then make your way to the villa. You can ask for the exact location once you’ve booked the place. 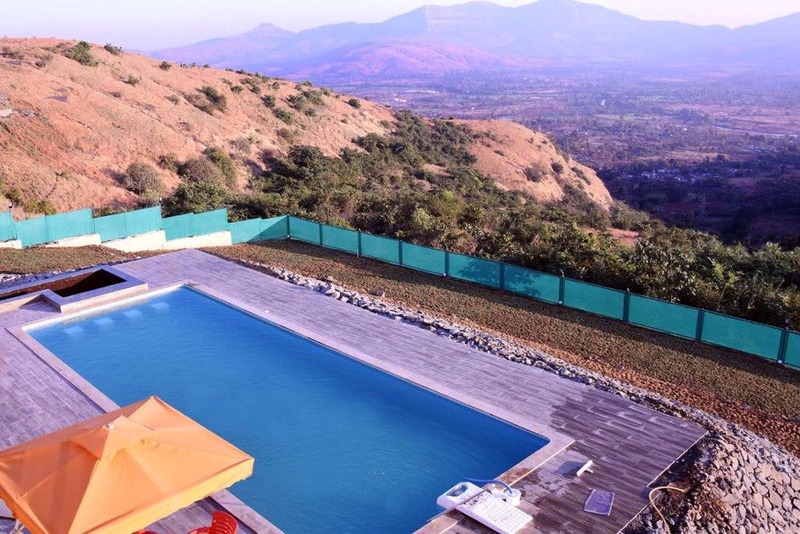 For a place that’s as touristy as Lonavala, this villa is the perfect escape! Whether you head out here with friends or even family, you have enough reasons and more to sit back, relax and enjoy this beautiful space. For a group of 10 people, weekday charges are INR 32,500 per night and weekend charges are approximately INR 42,500 per night.